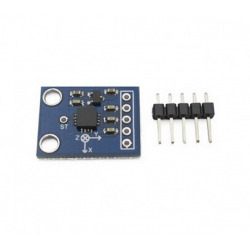 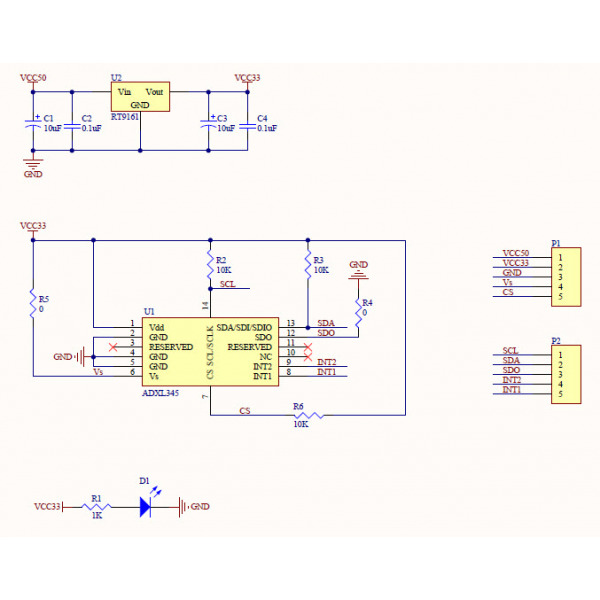 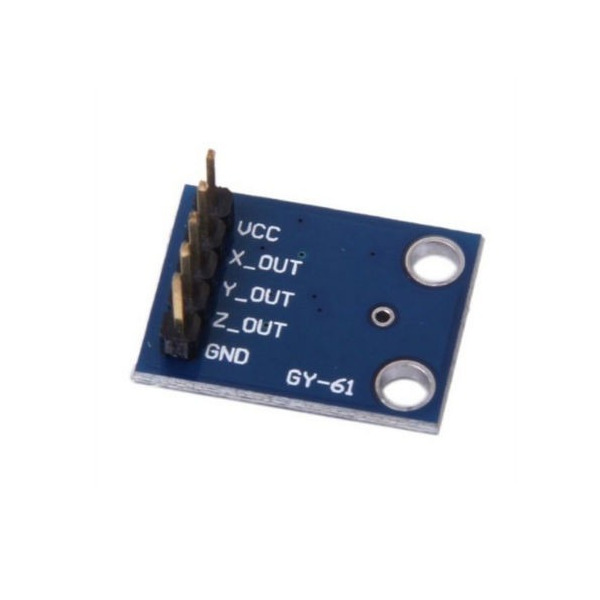 GY-61 is a small, thin, low power, complete three-axis accelerometer voltage output through the signal conditioning at a minimum of full scale ± 3 g measurement range acceleration. It can measure the tilt-sensing applications in the static acceleration of gravity, and movement, shock or vibration due to dynamic acceleration. 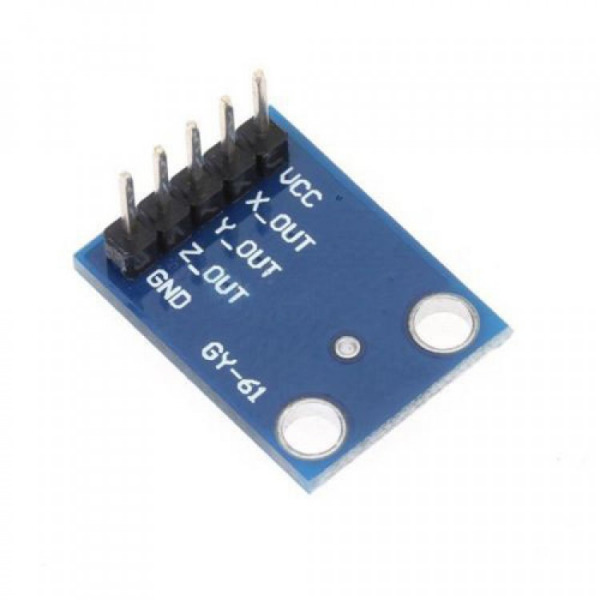 User CX, CY and CZ pin capacitance X OUT, Y OUT and Z OUT choose the bandwidth of the accelerometer. 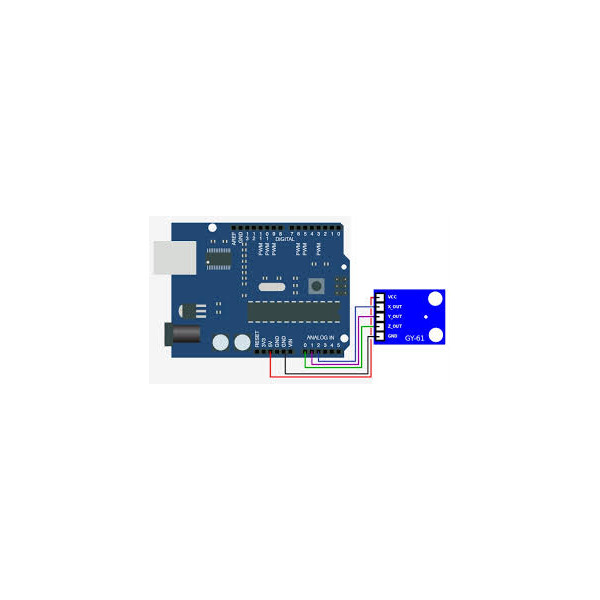 You can select the appropriate bandwidth depending on the application, X-axis and Y-axis bandwidth of 0.5 Hz to 1600 Hz, Z-axis of the bandwidth of 0.5 Hz to 550 Hz. ADXL335 offers small size, thin, 16-pin, 4 mm × 4 mm × 1.45 mm plastic lead frame chip scale package (LFCSP_LQ).